One of the ways I keep on track with my weight maintenance and pay attention to nutrition is by always preparing and packing my own snacks to take along when I go out. I rarely leave the house without something in my pocket, or my purse, or my totebag. I really hate being caught out hungry... cause if I don't eat very soon, the hunger turns to hanger, and it ain't pretty! Ask The Captain. I can feel the light-headedness hit and then I get woozy, and hot and kinda dizzy... very cranky and panicky for something to eat, NOW. Usually he can tell it is coming on before I even begin to feel it, by my mood swing. What and much I pack depends on how long I am going to be out... and where I am headed. If I know there is a coffee or tea stop with good and suitable eats on my travels, the pack-along snack will usually be smaller, but I do take it anyway... to me it is like being prepared for an emergency, just like having some cash and a lip gloss. So what kinds of things do I like to pack? Fresh fruit is always a good choice for me. Apples and bananas are my first choice, and this time of year I would add Mandarin oranges to that list because they are so easy to peel... and then oranges, apple-pears, grapefruit, plums, peaches and nectarines are good as well. Anything firm that is not too ripe. If I get light-headed from hunger, a piece of fruit picks me up very quickly. I also like to pack nuts. I bought some small plastic containers and I weigh out 1/2 ounce of nuts into them and then toss a couple of the containers into my bag on the way out the door.. they will usually remain there till I have eaten them and they need to be replaced. I like raw nuts best... almonds, cashews, hazelnuts, walnuts, and seeds, too... pumpkin and sunflower are my favorites. Nuts have protein and fat and help satisfy my hunger till I can get something more substantial. I pack them in small enough batches so that I won't overdo eating them, and so they are a small package to take along, too. Occasionally I pack dried fruit in my small containers... Oh! Naturals Flavoured Banana Chips are very good. And, I like raisins, goldenberries, dried cranberries, apples, mangoes, pineapple, strawberries, papaya, cherries, coconut, and prunes, too. The dried fruit packs a bit of sugar whallop so I don't eat too much of it at once. Homemade trail mixes are good, too. I like nuts and seeds, along with some dried fruit and some dark chocolate chips or mini M&Ms. I also pack my trail mixes in small enough containers that I won't overdo the munching! But the combination of the sugar and fat and protein does satisfy my hunger quite quickly and stays with me longer than fruit alone would. In the past, before I gave up gluten, I liked to buy the little tuna salad and cracker snacks at Costco - they come in a 6 pack. And in the U.S. I found chicken salad and cracker packs as well. They are handy cause they come in a tidy little package along with a tiny spoon. I used to keep a few in the glove box of my car. 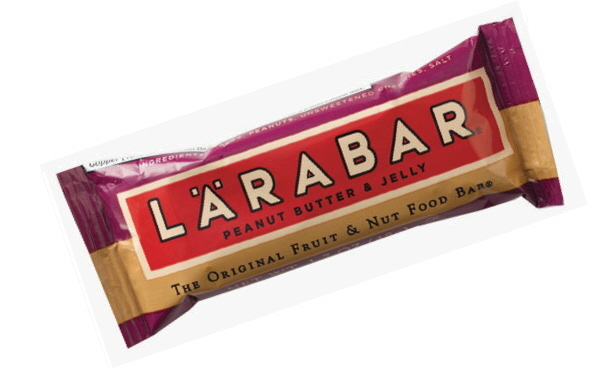 Sometimes I will pack a protein bar of some kind, or a Taste of Nature fruit and nut bar, a LARABAR, or a coconut macaroon.... anything that is not just a 'cookie'. It is important to have the right tools along as well. If have fruit, I will take it in a plastic bag so that I have a place to put the banana peel, or the apple core. If I have an orange or a grapefruit, I might take a peeler along. And I usually have tissues or a napkin or wet-wipe for my dainty fingers. So, for an example... Monday I had a doctor's appointment scheduled for 11:15 a.m. I knew it would be well past lunch time before we got home so I took along a banana in a plastic bag, and a couple of the little containers of almonds in my purse. It was noon before we got out of the doctor's office and I needed to find a lab to have some blood drawn, so on the way there we shared the banana and some of the nuts. We didn't get home till after 1 p.m. and it was almost 1:30 by the time we sat down to eat lunch. But it was okay because I had eaten that snack... without it, I would have had to come home and have lunch and then go to the lab, or try to find a nutritious, suitable lunch out before going to the lab, which is not always easy in a pinch. If I know I am going to be gone for longer time, in the car, I pack along a cooler... but that is another post! Do you pack your own snacks when you head to the gym our out for a walk, or to the mall? What are your favorite things to take? Great ideas Elle:) I love nuts and protein bars. They are easy to bring along. Both my daughter and myself MUST eat when we get hungry. And if both of us hit the hunger cycle at the same time and there is no snack, we are in trouble! So yes, I do pack us snacks but love the idea of bringing along the little mandarin oranges. Why have I never thought of that? We both love them and they will fit nicely in my bag. I also like the idea of making our own trail mix and so see this as a fun weekend activity for the both of us. We could eat create our "supply" of mixes how we like them and then grab-n-go! You know I'm a portable snacking queen. I travel with tuna, fruit, veggies (carrot, zucchini, and celery sticks travel well), and my favorite "trick" is yogurt. I mix Greek with whatever flavors I want (berries, banana, peanut flour, etc), freeze it over night, and take it to go. That way it stays cool until I'm ready to eat it. Is it weird that I like to bring pre-cooked turkey, bison, beef, elk, ostrich burgers or eggs with me when I am on the go?? LOL! Love this whole concept. I get hanger also, and so I should jump on board and always have something with me. And the clementines/tangerines are just the best portable fruit this time of year, aren't they? Yes, I usually pack snacks. I especially love them for flying. I am just like you Elle; hanger is the perfect word to describe that impatient, want to gnaw off my arm feeling. Usually strikes while I'm checking out at the grocery store! I'm a big protein fan, so I include single servings of tuna (and a spoon!) in my portable snack kit. Don't leave home without it! Packing snacks is such a great thing, the problem I find though is that some can quite easily bruise (I'm thinking of bananas here..). Like you mentioned as well, dried fruit and nuts are almost a godsend in portable snacking, they're brilliant! @Gigl, to be honest, I'd do that, it would definitely satisfy me enough to bring them haha! I definitely pack snacks with me all the time. Partly because I have two little ones who are always looking for a snack but also because I get really cranky when I go for long periods of time without eating. These are great tips. I usually bring fruit with tme. You are very organised! I take yoghurts to work so they I avoid snacking on too much cake/biscuits/chocolates, and I often carry a cereal bar around in my handbag in case of sudden sugar lows (which I tend to get at weekends when my eating schedule is completely different! i almost always take an apple with me if I'm going to be out for hours. I have gotten pretty creative with my meals for plane trips! These are great ideas! I wouldn't think to take an orange (or something similar) but that is a really portable fruit that won't bruise down in my purse. Great ideas. I have a stash of Mojo Bars from Cliff that I throw in to my purse when I need an on the go snack. Sometimes I'll take an apple. Yes! I thought I might be the only one who does this. I always pack little snacks for all trips. My favorite too is nuts and a piece of fruit. Not too messy and filling! These are all great ideas! I love those little containers; they are exactly perfect for serving sized snacks!